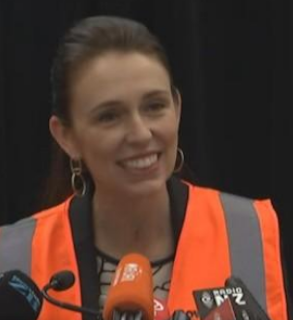 What is it with the fluro vests? It seems like it is a compulsory accessory for any Government announcement these days. Are they hoping it makes them look "cool", or "competent", or "workers"? Somewhat of an unfortunate name ... reminiscent of the Nazi Party 'Kraft durch Freude' (KdF) Strength Through Joy movement. 'Compass','Community Wage','Jobs Jolt', 'Mana in Mahi','Arbeit Macht Frei', don't you just love slogans? Not! I had noticed the dodgy slogan but thought not to mention it. Shows how little history some know - and I'm no shining example! I remember the days of "Taskforce Green". I was employed to do data entry at a public library for their new user database. It led to permanent to work but nevertheless I never worked out the green angle.